We took the top women's climbing shoes and put them to a hands-on...err...feet-on test to find the very best. 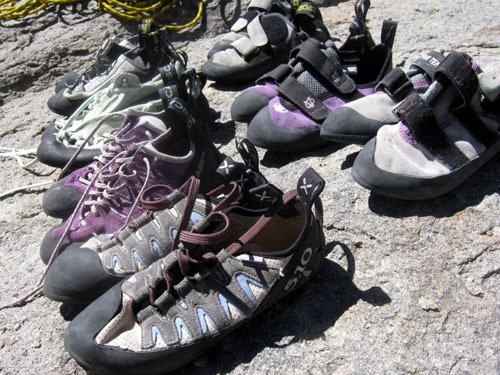 We found that not all climbing shoes are created equal. Some are better performance shoes, others are better all-day shoes and still others are better for beginners. Find out how the climbing shoes stacked up when compared side-by-side, and which we selected as the very best.